Techniques: There are three layers in this sample, two felt and one vinyl. 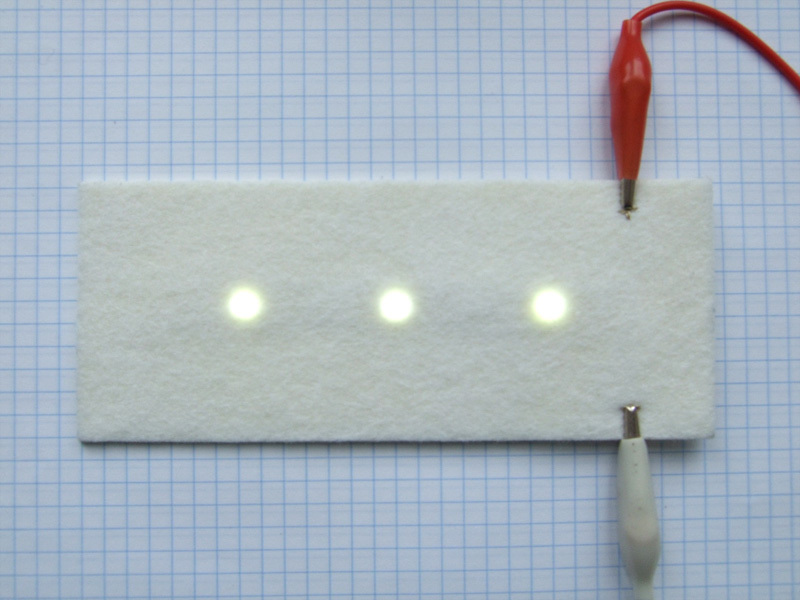 The middle layer of felt has holes cut out for the LEDs, so that the whole sample remains flat. Contact adhesive is used to stick the two layers of felt together and heat press vinyl techniques are used to stick the LED strip to the felt. I also used embroidery for the sample, although this is simply to allow easy connectivity to a power supply. 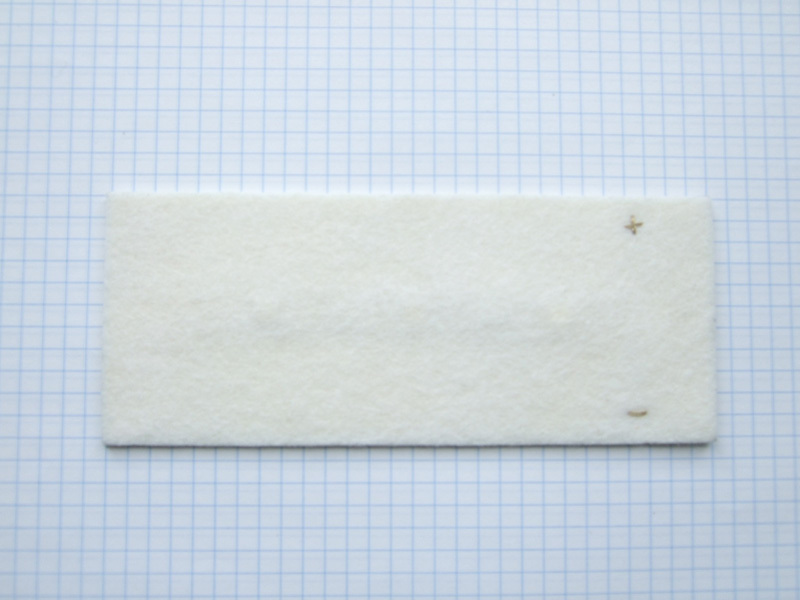 Description: This sample shows the best results from a study into embedding flexible LED strips in felt using heat press vinyl and wool felt. It’s part of the Manifold Project initiated by Peter Tettelaar and myself that explores “”high-DIY”” ways of integrating flexible printed circuits with textiles. The goal of the study was to create a flexible textile circuit with contemporary design aesthetics. Maximum flexibility and robustness were key, as were techniques that do not require labour-intensive handwork. 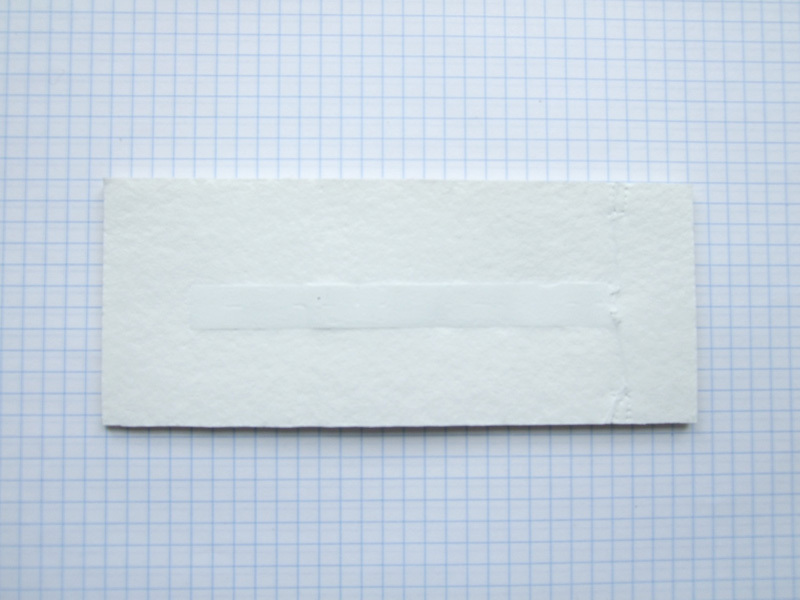 To see it in action, use crocodile clips to connect ±9VDC (max 12VDC) to the embroidered + and – symbols on the sample.